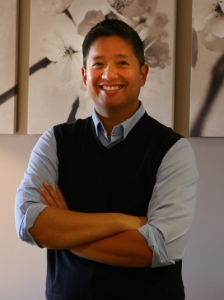 Dr. Oliveros has called Richmond, British Columbia home since the age of 10. He graduated from Steveston Secondary and then attended the University of British Columbia, where his passion for dentistry grew. After earning his Bachelor of Science degree (BSc) in Microbiology, he graduated with his Doctor of Dental Medicine degree (DMD) in 2002. Since then, Dr. Oliveros has been actively practicing dental medicine and continues to perfect his craft today. He worked in Vancouver for seven and a half years before settling down in his hometown of Richmond in 2010. Dr. Oliveros has a genuine passion for dentistry and a strong commitment to constantly expand his professional knowledge base. He is currently a member of the Kaizen 2 Interdisciplinary Study Club, which focuses on comprehensive treatment planning, and is also a member of the Metro Vancouver Study club which concentrates on the science of Implantology. He also continues to attend the Kois Center in Seattle to enhance his knowledge of comprehensive dental care. He was an active member of both the Northwest Endodontic Study Club at the University of British Columbia, and the Aesthetic Continuing Education (ACE) Study Club in Vancouver. Dr. Oliveros also attends the most current continuing education courses throughout North America to ensure his patients have access to the most modern and progressive treatment options available. When he is not practicing dentistry, Dr. Oliveros enjoys spending time with his wife and two kids. He also enjoys playing hockey, basketball, biking, and snowboarding.